Not very interesting, but im getting started with a 2" BB lift and 32" tires. 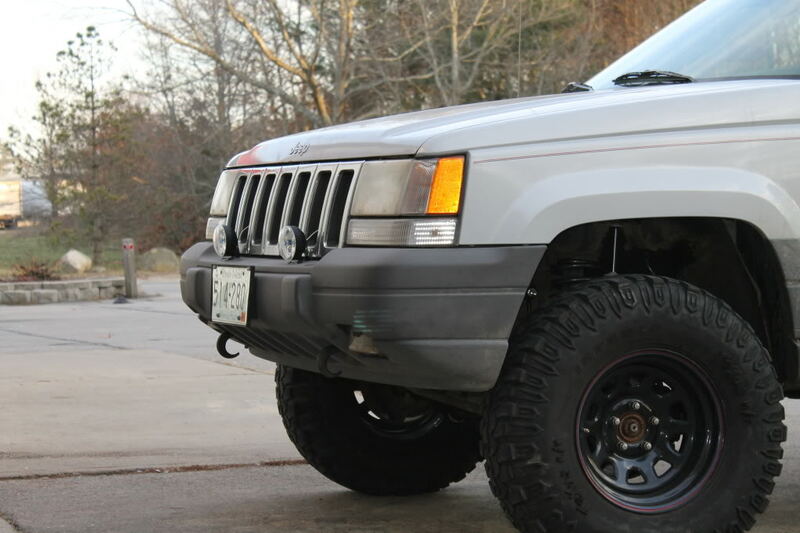 Planning on short arm kit and new bumpers in the near future. Nice!!!!!!! i like your videos Monterey ZJ, wish there was a place likeHollister Hills where i live? Last edited by loganwebbsr; 01-27-2012 at 12:09 PM. Just noticed the "beer/Jeep" emblem or sticker on the window. Thats awesome! You get the award for favorite mod, lol. And the rest of your Jeep aint too bad either, lol. Last edited by t3k; 02-04-2012 at 11:29 PM. 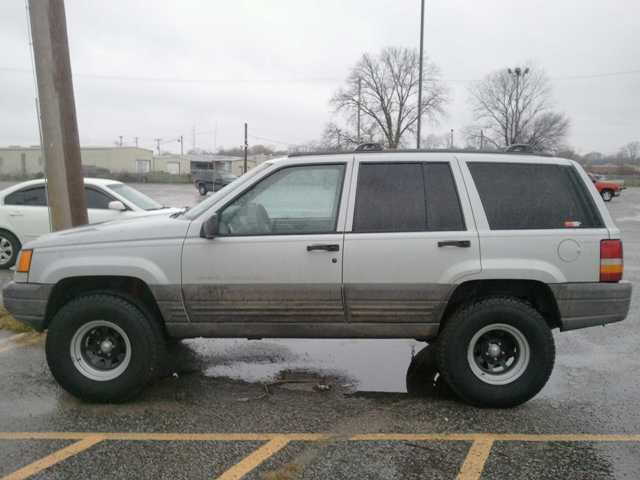 If i ever stop dumping money in my xj maybe I'll be able to lift my wj.. Ahhh. D60s are expensive! I almost feel like I'm cheating on the Xj, but I really do love the grands. If they only sold the V8 with part time and a five speed.... Those things would melt faces. 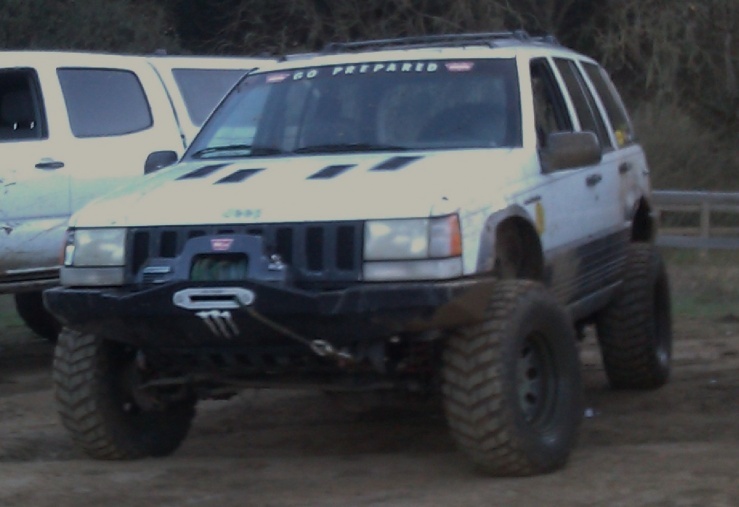 One thing I wish the Xj had was a V8. The wife finally let me lift her WJ and we love it! It's a Fat Bob's Garage 2.5" front 2" rear coil spring kit (not spacers) w/ their Performance 8000 shocks. I was always worried about putting a lift on it cause I know it can make the ride stiffer, but I'm very pleased with the ride quality and the stance is perfect! 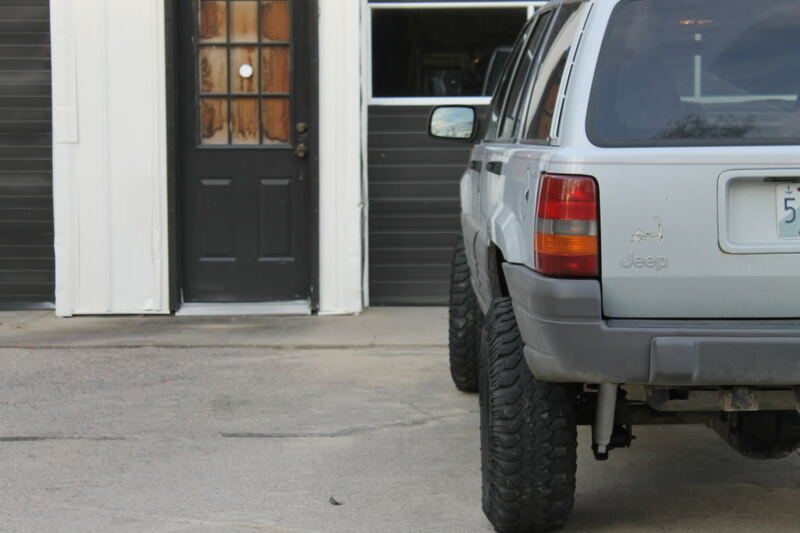 The tires we put on are boring, but we'll get good gas mileage on family road trips still. 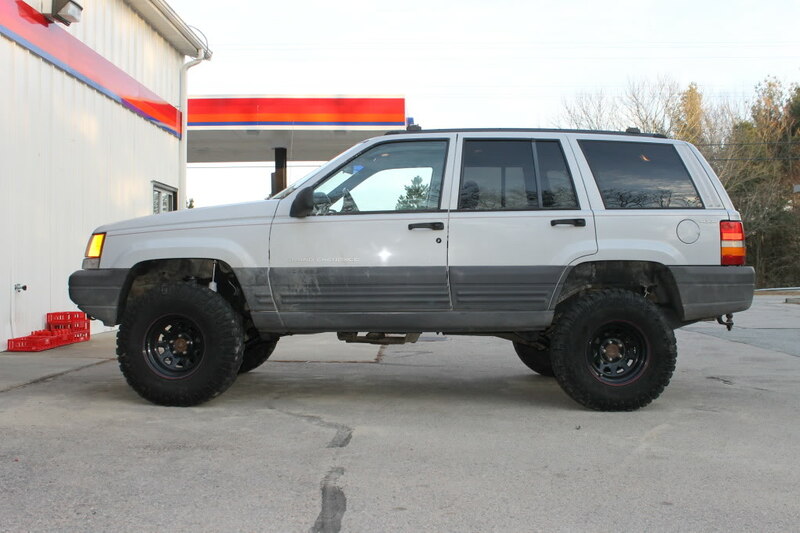 Just wonderering, LOL the name thing, I would like about 6 inches of lift (To get the mean open tall stance of a [email protected]@$$ jeep look, but my wife says she will give me 7 1/2 inches of lift if I go out and buy some $1000 dollar lift, and her and the kids have to use a step ladder to get in the jeep. 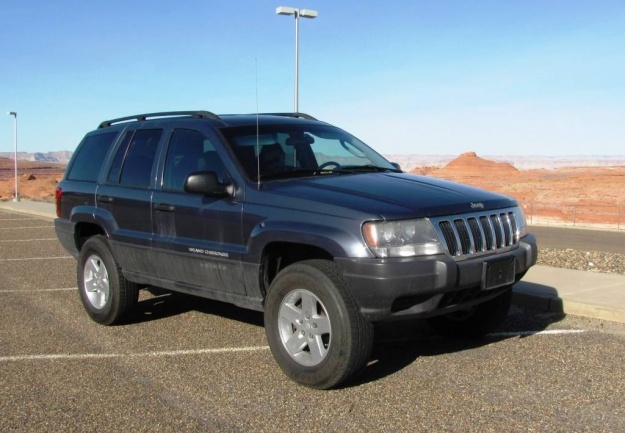 So in the spirit of not getting a 7 1/2 inch lift from my wife, what is the cheapest and easiest way to lift my jeep with out worrying about the wobble of death, or frying pan of fury from my wife? I tried those lame rubber spring leveling inserts. I put 4 on each side, and 2 have already fell out of one side. 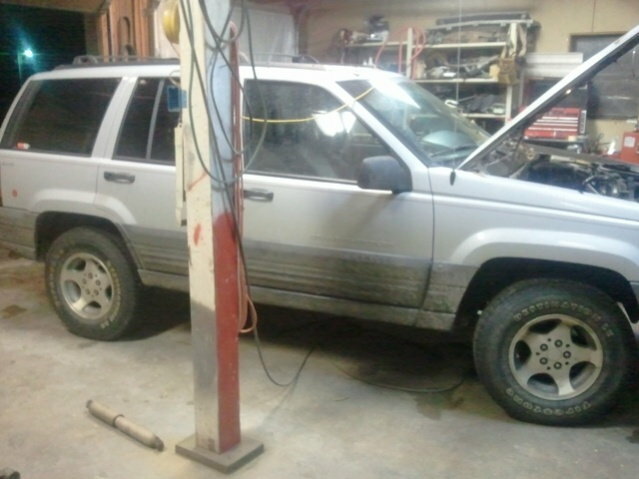 Being that it is a ZJ I can't use those spring spreaders, becuase the shocks go inside of the springs. 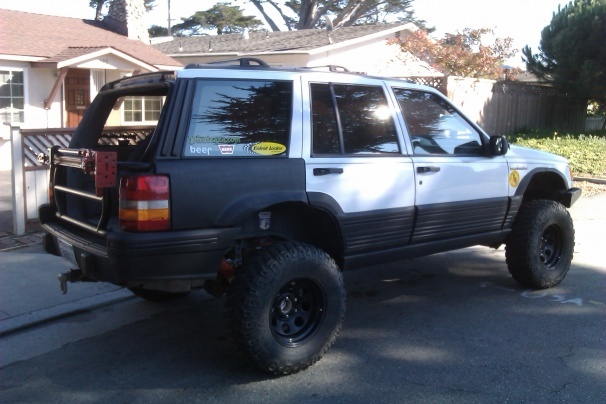 I don't have leafs to stack on my ZJ, because it doesn't have them, tortion bar??? 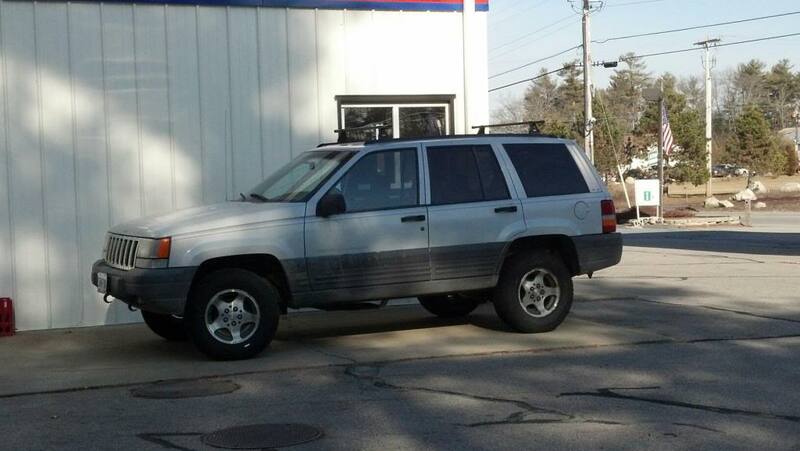 I think they left those off my ZJ too. From what I have read, once I get above......3 inches of lift, there becomes a problem with the linkages, and wheels being out of alignment. Any ideas as to where to start for teh $400 dollar range?? ?